Here are five stocks that investors should avoid adding to their portfolio in 2018. Despite the market reaching all-time highs and the Dow Jones Industrial Average surpassing 26,000, some stocks are toxic to an investor's portfolio because of a higher amount of risk and volatility. 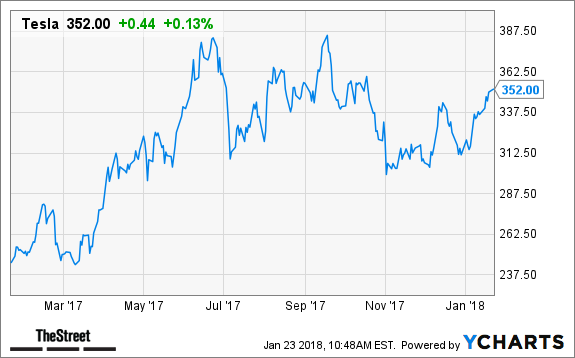 While Wall Street's "fear gauge," the Cboe VIX Volatility Index (VIX.X hit an all-time low of 9.14 in November despite the political uncertainty and dipped more than 17% in 2017, the VIX reached 11.91 on Wednesday, Jan. 17. A long-time volatile stock, Tesla (TSLA - Get Report) , has been a favorite among many investors. Some experts fear that the company's story has reached its pinnacle since it has not transformed itself into the mass auto market. "I don't see 2018 being a year of anything but a struggle," said Patrick Morris, CEO of New York-based Hagin Investment Management. "This company is a money loser and its recent delays, plus the almost fantastical vision of the battery-powered truck lead me to believe that CEO Elon Musk is played out and the operations need to start meeting the other worldly promises of an electric economy. Tesla has long remained a favorite among Wall Street traders who have taken either short or long positions and is still controversial. The shorts believe the equity is worth nothing because of a loss-generating core business and major production problems with the Model 3, its core mainstream product, said Yale Bock, a portfolio manager for Interactive Brokers Asset Management, an online investing company based in Boston. The longs believe the Model 3 production ramp up and unique business model means Tesla will transform into the Action Alerts Plus holding Apple (AAPL - Get Report) of the automotive industry. "I think for risk averse investors, you stay away and watch the stock with curiosity," he said. The Long Island Ice Tea Corp. said last month it was shifting its primary focus from manufacturing beverages to the exploration of and investment in blockchain technology. The company changed its name to Long Blockchain Corp. (LBCC and its stock shot up on the news. While the stock reached a high of $6.24 on Jan. 9, it is now trading at $4.22. "The company appears to simply be a speculative bet on blockchain technology," said Robert Johnson, president of The American College of Financial Services in Bryn Mawr, Pa. "While blockchain may be a significant innovation and change the way we transact, there is no guarantee that LBCC will be the winner in the blockchain sweepstakes." Even if blockchain emerges as a game changer, other innovations in the past such as the auto industry failed to make investors wealthy and the Big Three wound up requiring hefty government bailouts. 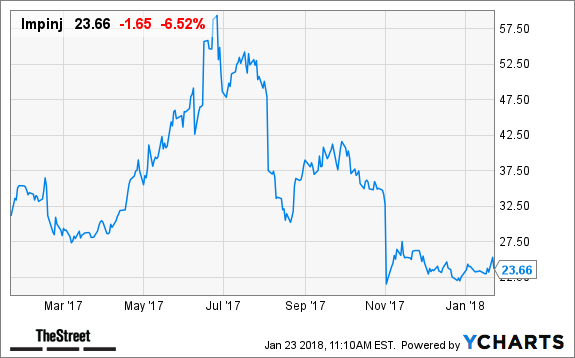 Impinj (PI - Get Report) , an electronics company that specializes in RFID, a wireless tracking technology, is not a good addition to a portfolio. 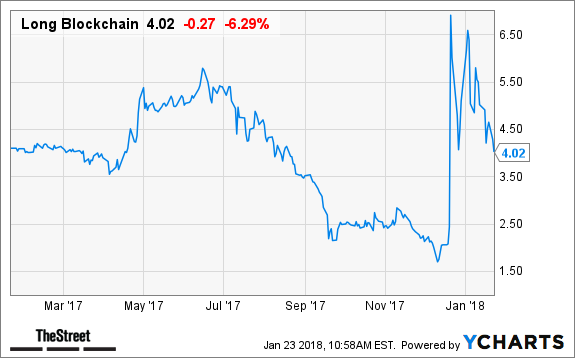 After Impinj went public in July 2016 at $14, Amazon joined a trade group, the RAIN alliance, that Impinj and Google had previously started to promote RFID tagging. 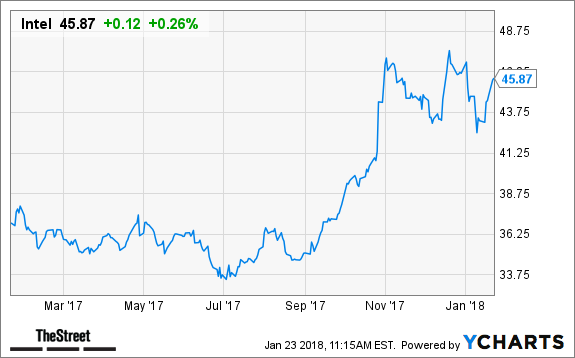 This helped boost Impinj's stock and shares of Impinj rose 28% on its first day of trading and the shares kept on rising, more than tripling to about $50 by July 2017, said Barry Randall, technology portfolio manager for Interactive Brokers Asset Management, a Boston-based online investing company. While the stock beat the Street analysts' expectations for several quarters in late 2016 and early 2017, the company reported on Nov. 1 a disappointing third quarter with a bigger loss than was expected and year-over-year third-quarter revenue growth at 5%, he said. "It is not clear if Impinj's troubles are behind it," Randall said. "While the stock trades at a reasonable price-to-sales ratio of 3.7, analysts' estimates are lower than they were three months ago and its 2018 estimates are for continued losses on the bottom line. Impinj bulls might chalk the company's troubles up to growing pains. But how can you have growing pains if you aren't really growing?" 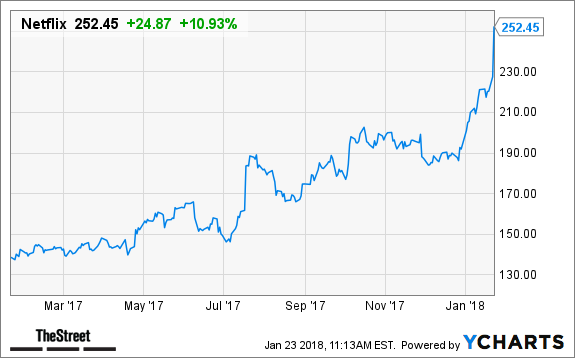 Netflix (NFLX - Get Report) could also be a risky stock to own, said Bock. While the company has a large user base, it lacks free cash flow and spends more money on content than almost any company. "The company has a massive valuation, but Disney taking dead aim at it leaves me to believe it is also one to avoid," he said. Investors should also be cautious of Intel (INTC - Get Report) . In the 10 days after Intel's security flaws were revealed through two vulnerabilities, Spectre and Meltdown, the company lost more than $7.4 billion in market capitalization. It is estimated that Intel will lose more than $5.5 billion revenue and $400 million in earnings, said K.C. Ma, a CFA and director of the Roland George investments program at Stetson University in Deland, Fla.
"Intel share prices may have also factored in the immediate cleanup cost and a mountain's worth of legal liability costs," he said. "Intel is expected to offer product patches, discount prices or maybe recalls that all cost the company money, product performance and brand loyalty. There is no upside for Intel at this point, other than how much downside they can limit." More from the Morning Jolt Archives below. On Tuesday, TheStreet's Executive Editor Brian Sozzi and Correspondent Scott Gamm talked Tesla.